There has been an emergency in town a massive accident occurred and you’re on-duty 911 ambulance rescue driver! Being a part of devoted ambulance emergency team you need to rush to the aid as you are responsible for saving precious lives. Get the doctor to injured people. Drive ambulance around the city and get to the scene of the accident in time. Drive fast n furious yet safely, turn on ambulance sirens and push the throttle to race fast. Hurdles and heavy traffic like cars, buses, and other traffic vehicles on your way so drive carefully. Drive one the best ambulance rescue driving game of 2019. Ambulance Car Driving Simulator - Rescue Mission full of actions that you need to take on emergency calls for taking patients from emergency spot to hospital in minimum time. Ambulance driver job on NY city roads is dangerous so be careful! 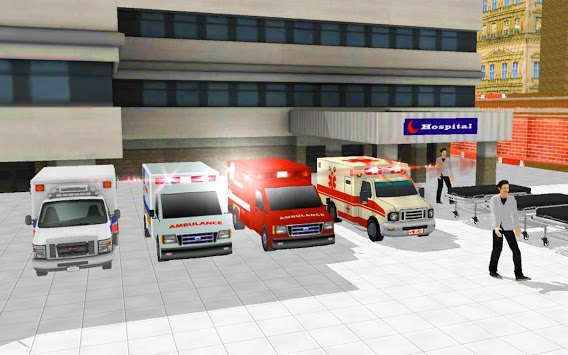 In this Ambulance Car Driving Simulator - Rescue Mission game you have been given the role of a skilled ambulance driver, keep in mind that seconds count as you make your way through the traffic in the realistic 3D city environment. Transport the seriously injured people to the hospital to save their lives, make sure your selected route across the huge city must be the shortest and fastest possible one. Your ambulance driving abilities will be put to the trial. Do you want to be an ambulance driver or wanted to play real-time ambulance rescue driving game?? Get your own ambulance and drive and enjoy the most extreme ambulance rescue driving game 911 Ambulance City Rescue: Emergency Driving. One of the best emergency rescue driving game which has extreme challenging ambulance driving and rescue missions. Drive 911 ambulance in city roads and rescue the injured peoples. Your job rescue peoples as much as you can while driving a NY city ambulance. When you drive 911 Rescue Ambulance focus on you roadside. Drive fast as much as you can and reached the destination. Follow the map better road instruction. Park the ambulance in the parking area and pick up the injured. Pick up all the injured people before time's end. When you pick up the injured people now it's time to drive rescue ambulance as pro rescue driver and go to the nearby hospital. There are many different types of accidents, so you should be prepared for everything. You have to Provide the best medical treatment to the seriously injured person!! Save civilians life as much as you can and do their job best. Ambulance Car Driving Simulator - Rescue Mission is an amazing rescue game with a different kind of challenging mission and accident scene. Play the role of a 911 ambulance duty driver and take the injured patients to the nearby hospitals. 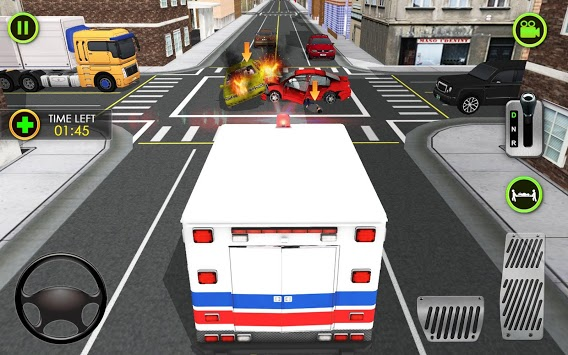 Ambulance Car Driving Simulator - Rescue Mission have fully HD optimized graphics. Beautiful city 3d environment and a big city hospital. You have played many rescue games like Helicopter rescue, Flying rescue ambulance and other rescue truck games. 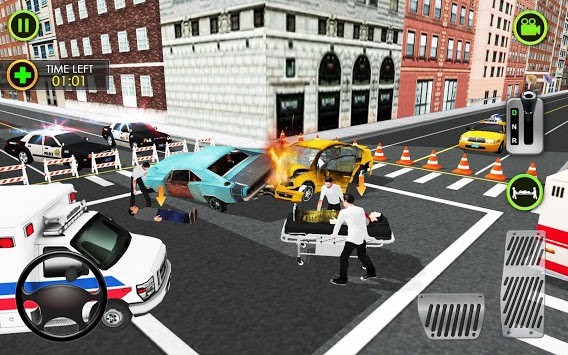 This 911 rescue game is a different kind of rescue missions to complete in time. Are you bored to play other simulation, driving, and cargo transportation games? Don't worry this epic Ambulance Car Driving Simulator game 2019. This game must entertain you while you drive and rescue the injured civilians. 🚑 It’s absolutely FREE on google play store!